Power tends to appear magical to those who have less of it, and mechanical to those who are accustomed to wielding it instrumentally. Different social groups are differently positioned within the larger ‘field of power’; each possessing a different measure of symbolic power and equipped to a greater or lesser extent to navigate the terrain of symbolic power. The asymmetry is not only a matter of control of capital and material resources; it also has to do with the dispositions (or habitus) that correspond with individuals’ different positions in the social structure (affected by education, family life, and many other factors) The power gap between agents’ dispositions is manifested in their different attitudes toward power itself. This can be seen in the phenomenon (or device) that Pierre Bourdieu calls the officialization effect — typically wielded by the few to awe the many. Essentially, those who already hold the reins of power have (as a perk of that position) continually blowing at their back the wind of the officialization effect, which endows them with an aura of presupposed competence (Bourdieu 1990b:109). So elites tend to possess both predisposition and capacity to effectively project their particular interests as universal (even if rival elite factions frequently fight amongst themselves over the details). The capacity to define the universal is the operation par excellence of symbolic power. The ‘universal’ is not actually universal here. It is, however, still quite real—not because it actually constitutes an objective universal, but because its projection of universality and articulation of the ‘common sense’ constitutes a powerful political operation. In other words, while the ‘universal’ is not really universal, it is nonetheless a political mechanism that the armchair critic’s truth does not dissolve. What Bourdieu neglects to mention regarding the officialization effect is that, in rare occasions, such a tool can be effectively wielded by relatively powerless political challengers (e.g., social movements). This kind of projection of officialness can be quite difficult for an underdog to pull off, but there are abundant examples of savvy agents doing so successfully—even ‘passing’ as official until the point that they actually become so (i.e., when they take state power). Even on a local and partial level, such audacious projections of power—power that is not actually possessed (yet)—can provide a tactical boost in campaigns. 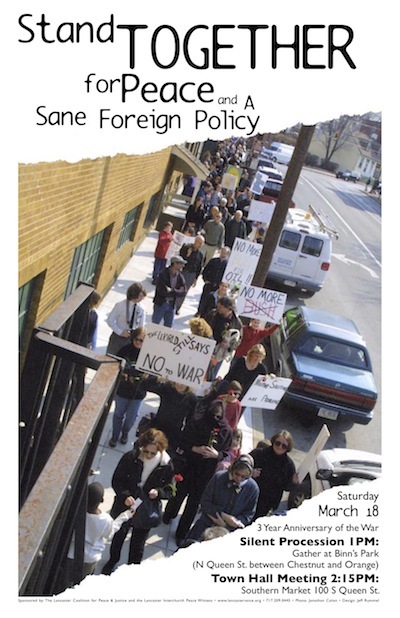 A limited but in some ways instructive example: When I directed the Lancaster Coalition for Peace and Justice in conservative Lancaster County, Pennsylvania, we pulled off this kind of ‘symbolic coup’ by sneakily securing City Council Chambers for our protest against the Iraq War. We didn’t call our protest a protest—we called it a ‘Town Hall Meeting.’ The design of our window posters intentionally mimicked the aesthetics of mainstream community events. Everything reeked of the scent of official sanction, rather than marginality and impotence. 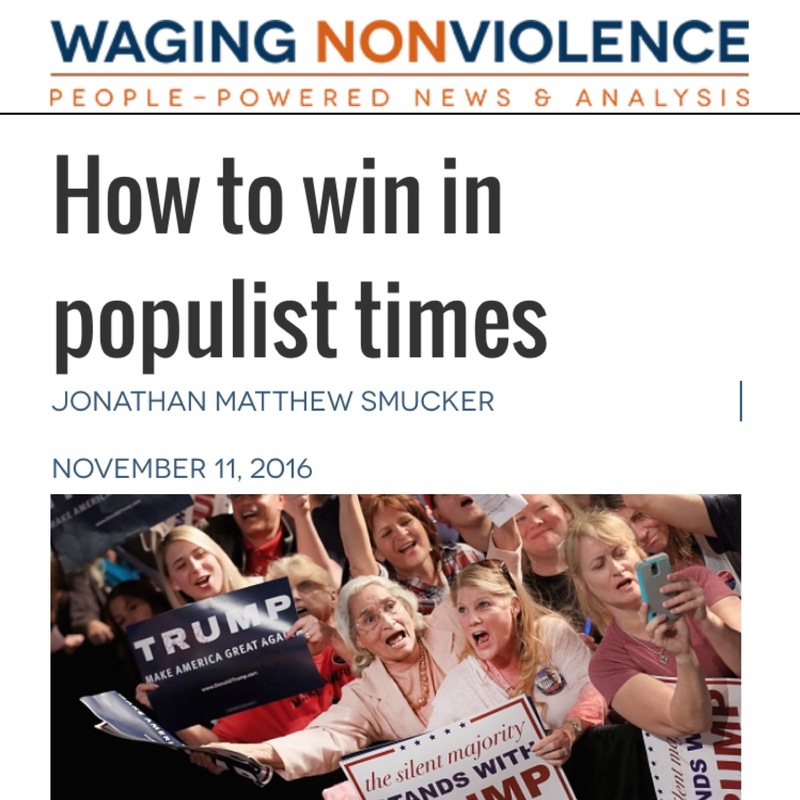 We used Bourdieu’s ‘officialization effect’ in ways that, Bourdieu’s text implies, should have only worked for agents who were already ‘official.’ By doing so, we drew a lot of people who were not the ‘usual suspects’—folks who might have otherwise felt uncomfortable to join a fringe-seeming ‘protest’ (with all that has become loaded into this label). Indeed, we turned out 800 people—the largest per capita turnout of any city in the United States. The power of this psychological effect was further evidenced by city authorities’ reactions during the lead-up to the Town Hall, once they realized we had secured a permit. Some of them were incredulous and attempted (unsuccessfully) to rescind our right to use the public space, whose availability to ‘the likes of us’ had been an oversight that other political outsiders hadn’t had the gall or imagination to take advantage of. Bourdieu, Pierre. 1990a. In Other Words: Essays Towards Reflexive Sociology. Stanford, CA: Stanford University Press. ——. 1990b. The Logic of Practice. Palo Alto, CA: Stanford University Press. ——. 1991. Language & Symbolic Power. Cambridge, MA: Harvard University Press.